It is not everyday that I get a chance to interview a pirate, especially an “edu” pirate like Dave Burgess, my guest today. Dave is from the US and is on a mission to inspire outrageous teaching that creates life changing lessons and growth of the student spirit. He does this through presentations, his book and his publishing company. 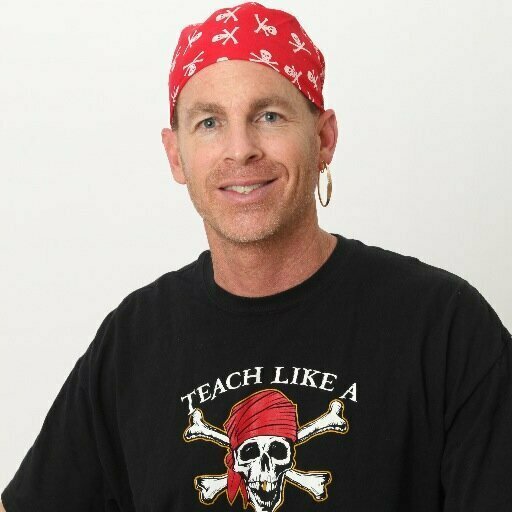 We talk today about what his movement looks like in and outside of the classroom, how any of us can change our teaching methods and the future of teaching like a pirate. Dave Burgess is a teacher from San Diego, California and a professional magician specializing in stand-up comedy magic. He was a 2001 and 2012 Golden Apple winner in the Grossmont Union High School District and the 2007-2008 Teacher of the Year at West Hills High School. He has been voted a faculty standout for 17 consecutive years in categories such as Most Entertaining, Most Energetic, and Most Dramatic.